HELENA, Montana (Reuters) - A U.S. interest rate hike this year would be a mistake, a top Federal Reserve official said on Thursday, and would represent a missed opportunity to boost employment and too-low inflation in an economy that has plenty of room to grow. "The (Fed policy-setting) committee needs to make policy choices that will lead to more great years like 2014," Minneapolis Fed President Narayana Kocherlakota said in remarks prepared for delivery in Helena, Montana, citing the dramatic improvement in the U.S. labor market last year. The Fed must be "extraordinarily patient" about reducing monetary policy accommodation, he said, so the job market can return to the strength it had in 2006, before the financial crisis hit. Kocherlakota's views put him at the dovish extreme at the U.S. central bank, where most policymakers, including Fed Chair Janet Yellen, expect to begin raising interest rates this year. The Fed has kept rates near zero since December 2008. 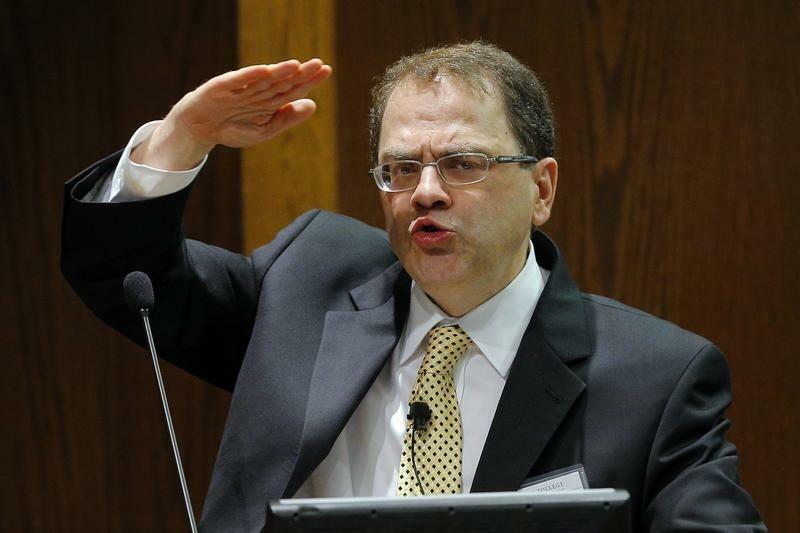 By pushing for a later rate rise, Kocherlakota hopes to nudge his fellow central bankers to aim for an even stronger labor market than the current 5.4 percent unemployment rate implies. Full employment, he said, should be measured by the percent of people employed, which in December 2006 stood at 63 percent. Even after last year's extraordinary job gains, only about 59 percent of the population is employed. "We can do better," he said, reiterating that his call for continued monetary policy accommodation is based on optimism about the economy's prospects, rather than pessimism. Meanwhile, the economy is not necessarily living up to his hopes. Inflation probably won't rise back to the Fed's 2 percent goal until 2018, he said, and GDP probably contracted last quarter. Still, he said, labor market damage from the recession does not need to be a permanent part of the nation's future. "I don't see raising the target range for the fed funds rate above its current low level in 2015 as being consistent with the pursuit of the kind of labor market outcomes that we are charged with delivering," he said.